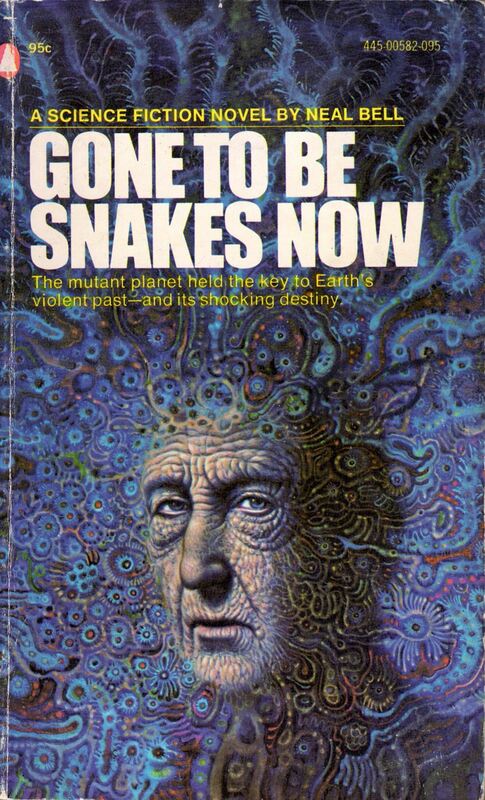 ABOVE: Neal Bell, Gone to be Snakes Now (NY: Popular Library, c.1974), with cover art by Joseph Lombardero (attrib.). 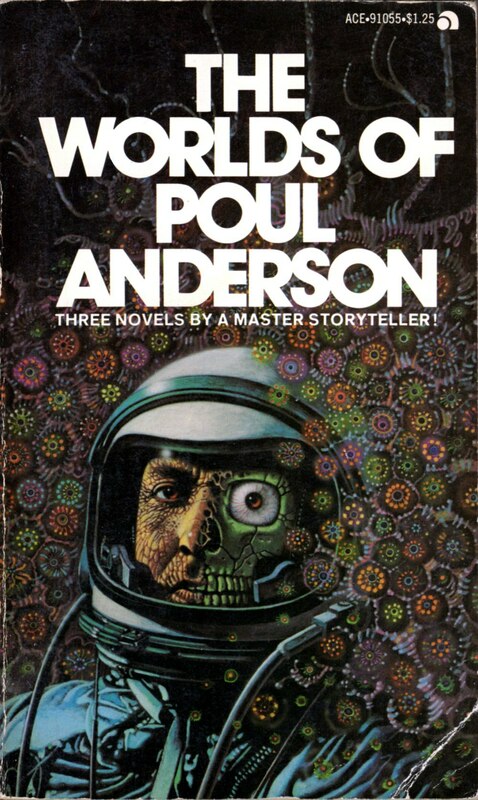 ABOVE: Poul Anderson, The Worlds of Poul Anderson (NY: Ace, c.1974), with cover art by Joseph Lombardero (attrib.). As always, if you think/know that I’ve made an attribution error, I welcome your corrections in the comments. 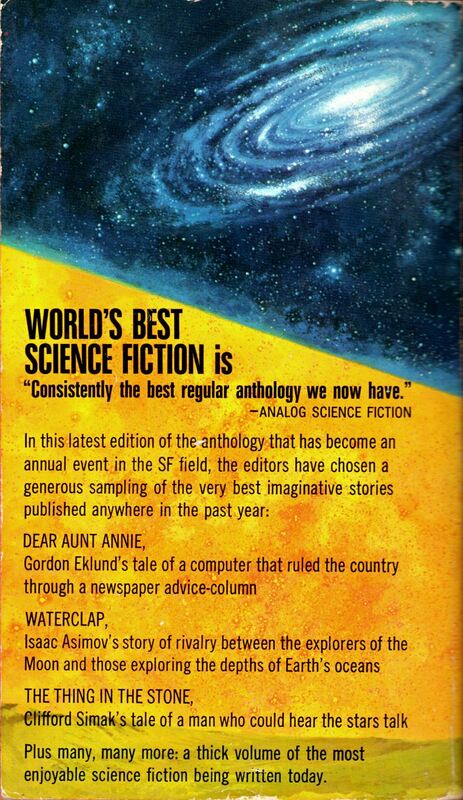 Keywords: Gone to be Snakes Now by Neal Bell, The Worlds of Poul Anderson by Poul Anderson, Joseph Lombardero. 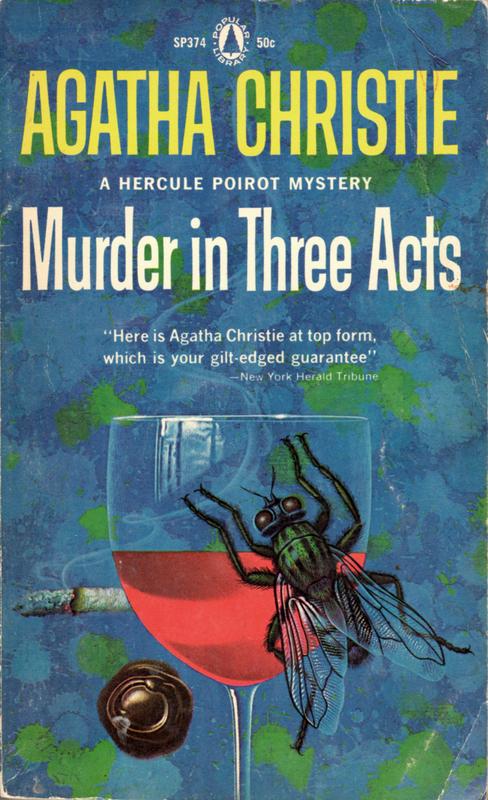 This is the fifth post in a row here at RCN to feature a selection of William Teason’s Agatha Christie covers, which brings the total number of Teason scans in our collection to an uneven twenty one. Enjoy! ABOVE: Agatha Christie, Dead Man’s Mirror (NY: Dell, 1966), with cover art by William Teason. 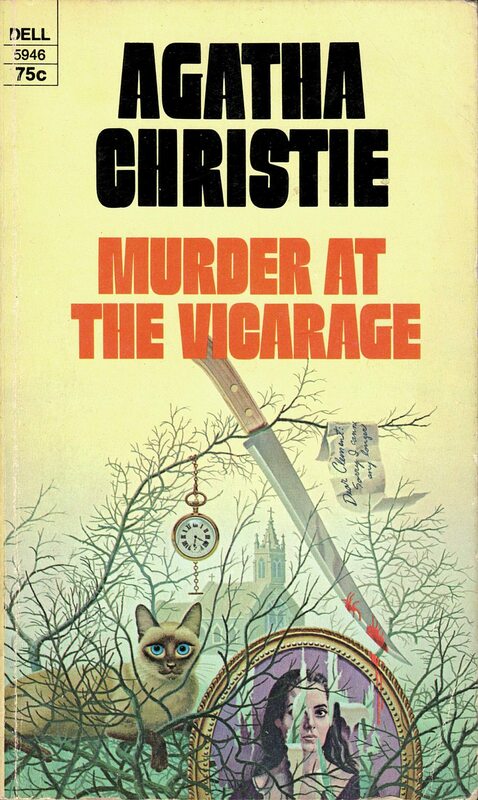 ABOVE: Agatha Christie, Murder at the Vicarage (NY: Dell, 1970), with cover art by William Teason. 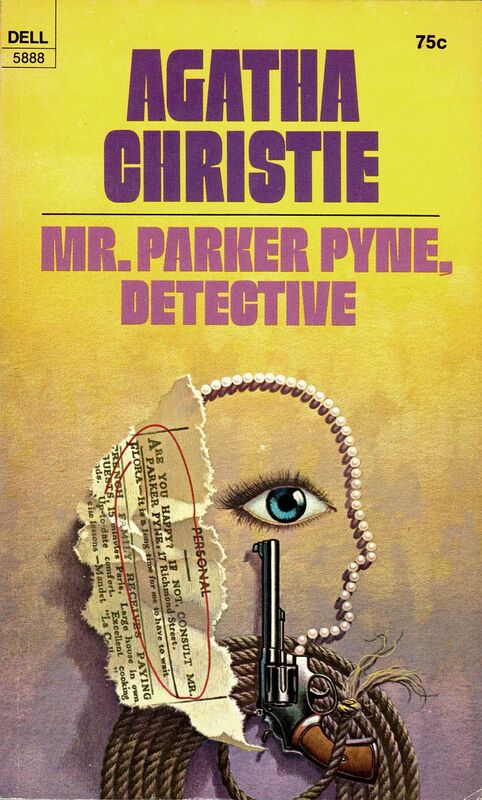 ABOVE: Agatha Christie, Mr. Parker Pyne, Detective (NY: Dell, 1971), with cover art by William Teason. 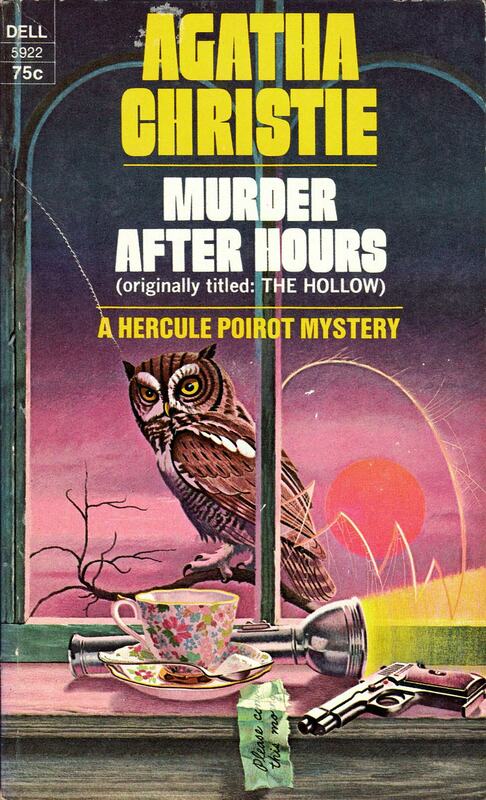 ABOVE: Agatha Christie, Murder after Hours (NY: Dell, 1973), with cover art by William Teason. 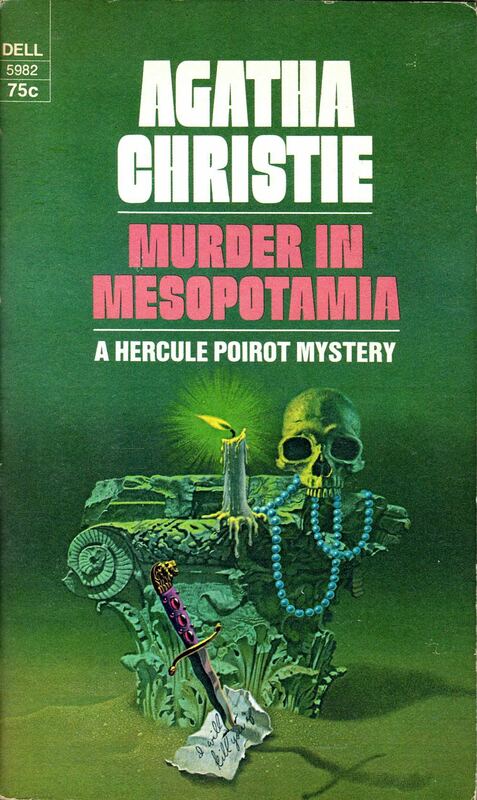 ABOVE: Agatha Christie, Murder in Mesopotamia (NY: Dell, 1973), with cover art by William Teason. 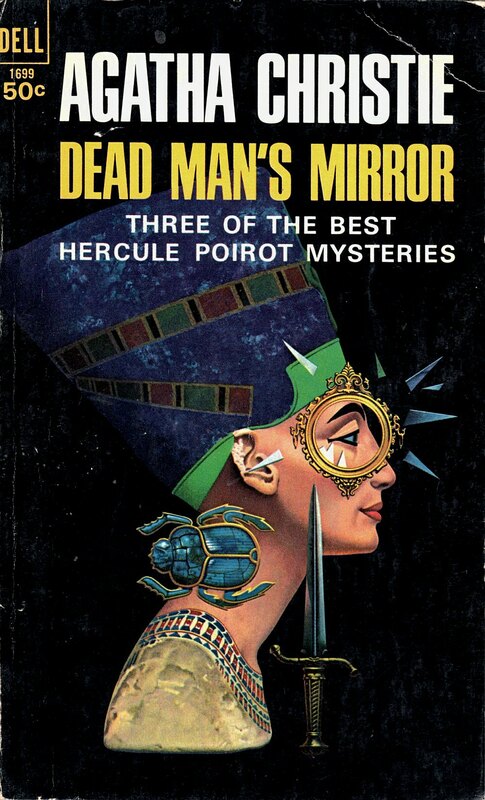 Keywords: Mr. Parker Pyne, Detective, Murder at the Vicarage, Dead Man’s Mirror, Murder after Hours, and Murder in Meopotamia, by Agatha Christie; William Teason. 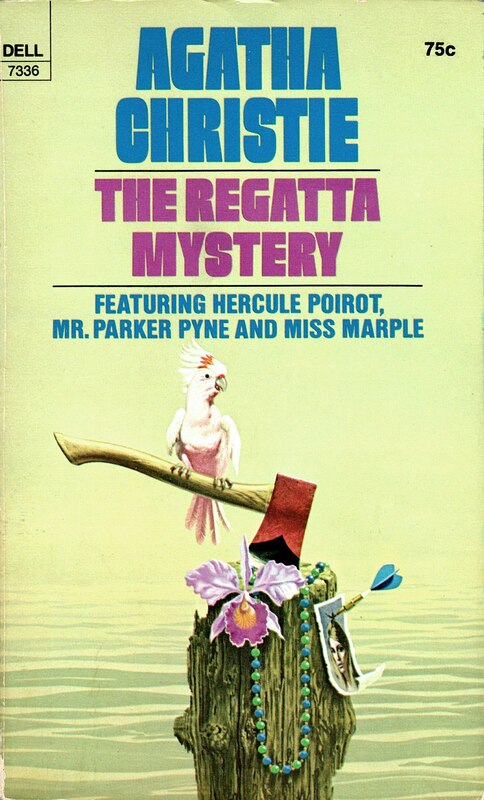 ABOVE: Agatha Christie, The Regatta Mystery (NY: Dell, 1973), with cover art by William Teason. 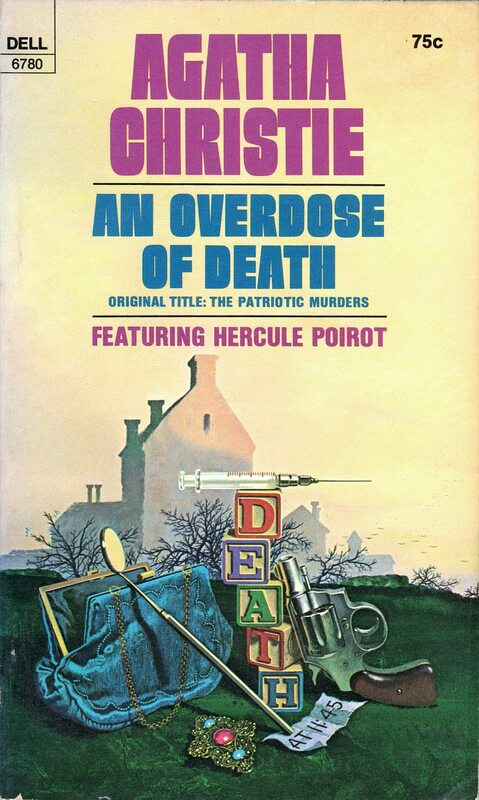 ABOVE: Agatha Christie, An Overdose of Death (NY: Dell, 1973), with cover art by William Teason. 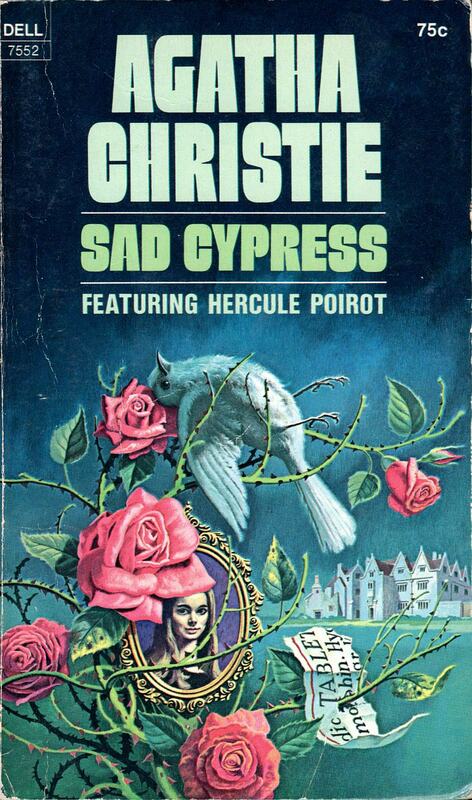 ABOVE: Agatha Christie, Sad Cypress (NY: Dell, 1974), with cover art by William Teason. 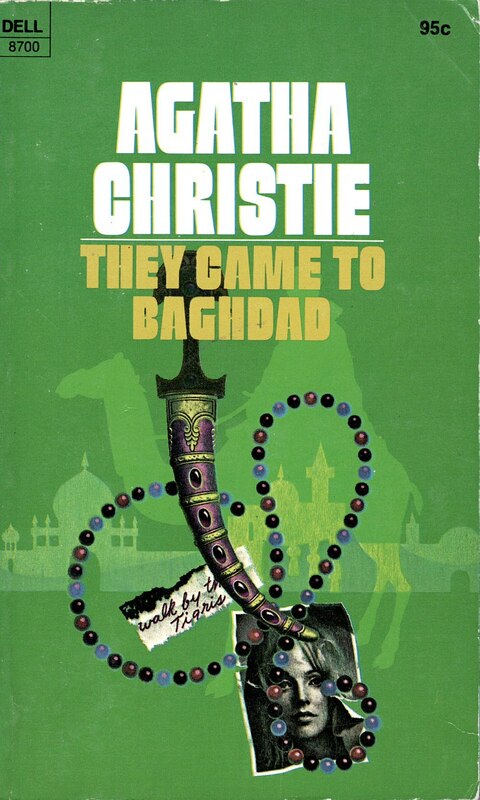 ABOVE: Agatha Christie, They Came to Bagdad (NY: Dell, 1975), with cover art by William Teason. Keywords: The Regatta Mystery, An Overdose of Death, Sad Cypress, and They Came to Bagdad, by Agatha Christie; William Teason. 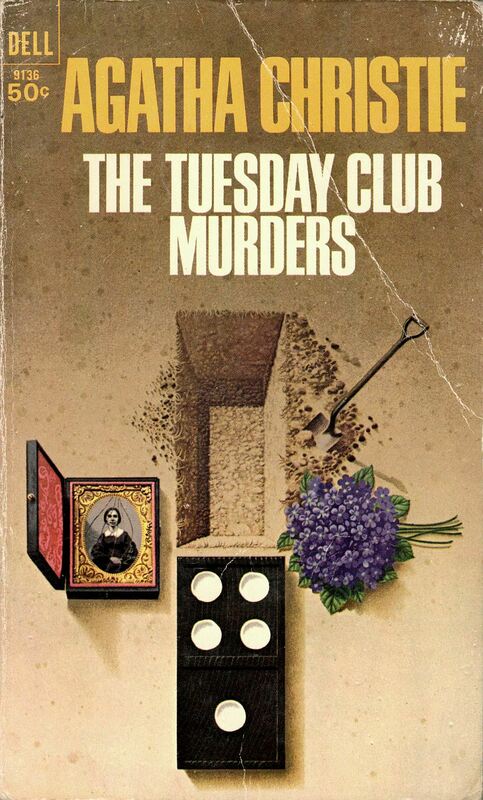 ABOVE: Agatha Christie, The Tuesday Club Murders (NY: Dell, 1967), with cover art by William Teason. 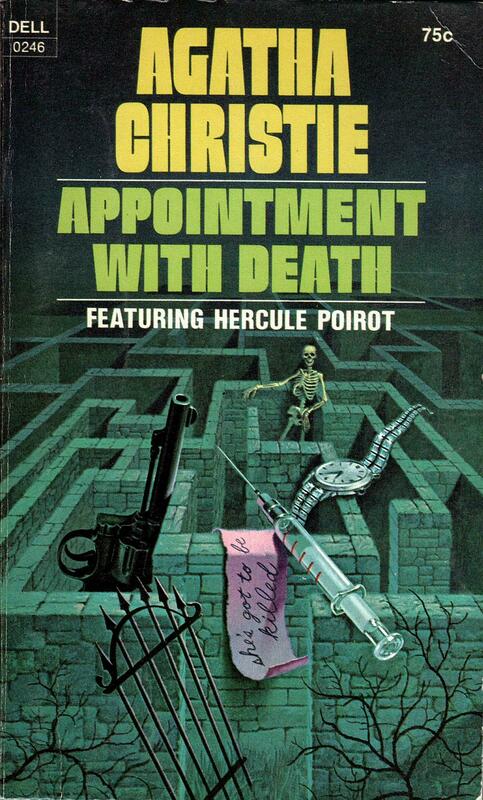 ABOVE: Agatha Christie, Appointment with Death (NY: Dell, 1971), with cover art by William Teason. 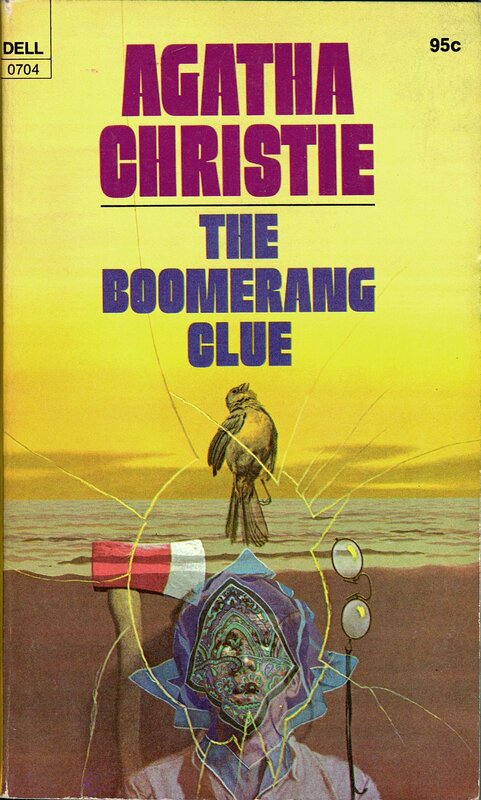 ABOVE: Agatha Christie, The Boomerang Clue (NY: Dell, 1975), with cover art by William Teason. 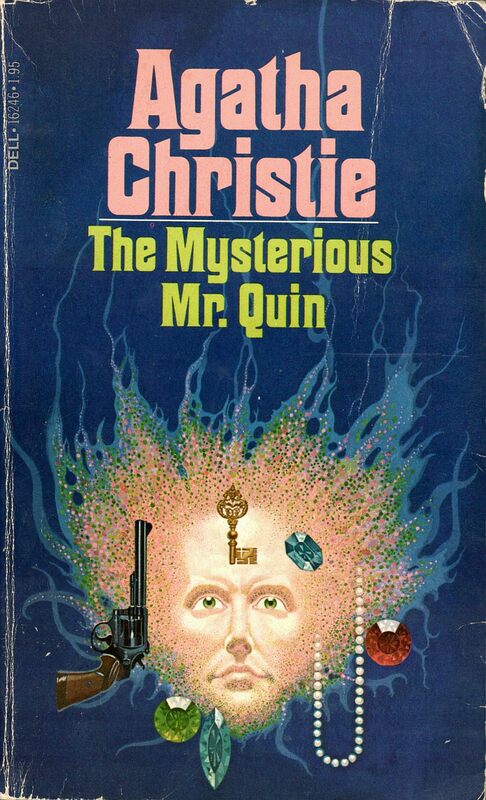 ABOVE: Agatha Christie, The Mysterious Mr. Quin (NY: Dell, 1979), with cover art by William Teason. Keywords: The Boomerang Clue, The Mysterious Mr. Quin, Appointment with Death, and The Tuesday Club Murders, by Agatha Christie; William Teason. ABOVE: Agatha Christie, Murder in Three Acts (NY: Popular Library, 1934), with cover art by William Teason. ABOVE: Agatha Christie, N or M? 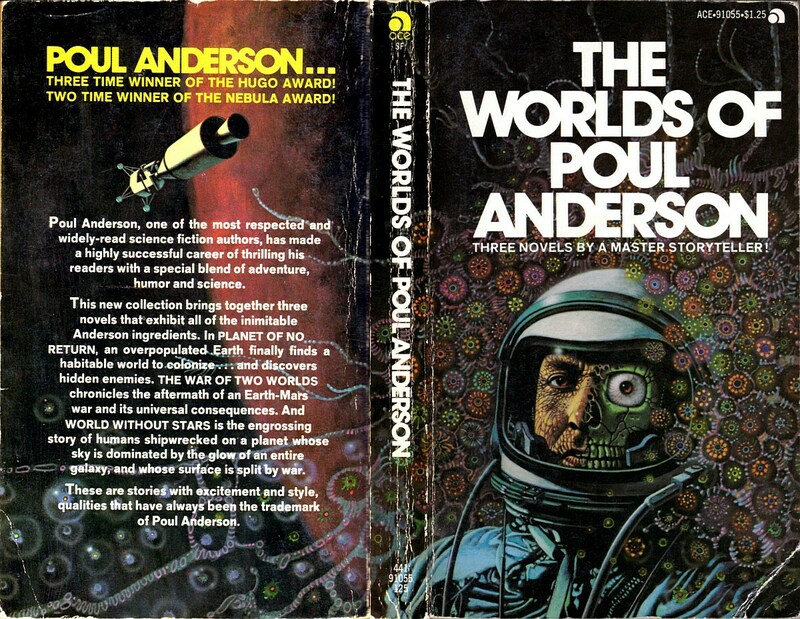 (NY: Dell, 1968), with cover art by William Teason. 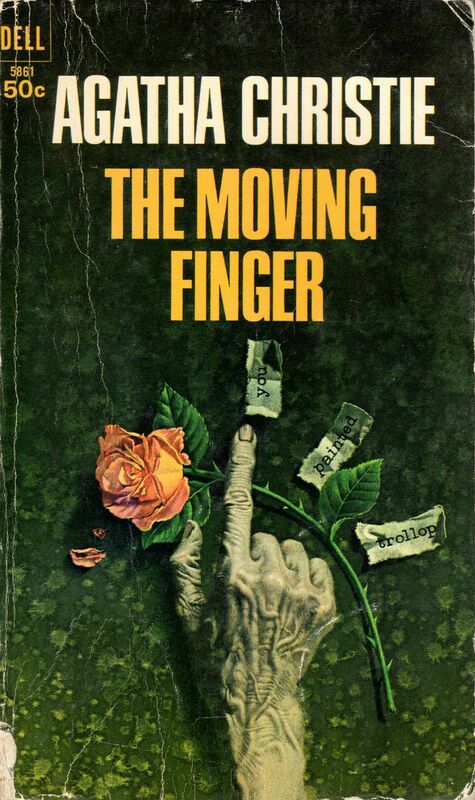 ABOVE: Agatha Christie, The Moving Finger (NY: Dell, 1968), with cover art by William Teason. 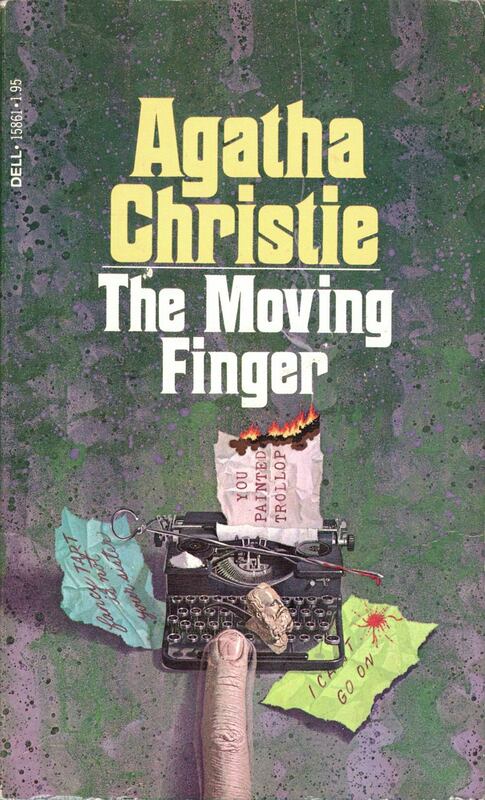 ABOVE: Agatha Christie, The Moving Finger (NY: Dell, 1979), with cover art by William Teason. 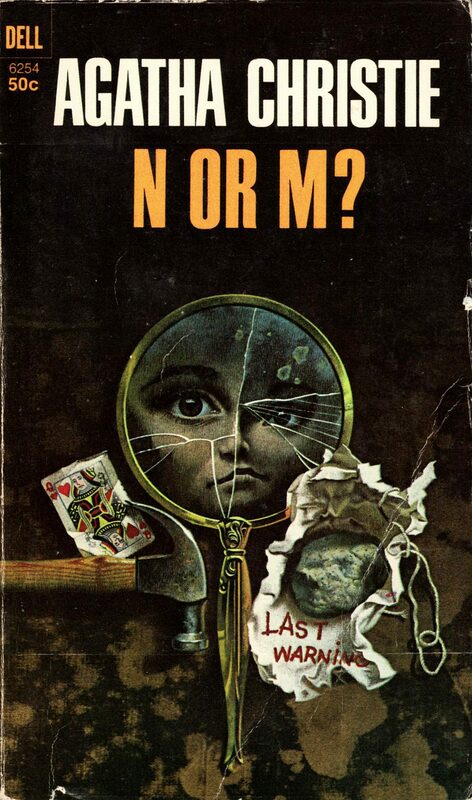 Two of the above novels — The Moving Finger (NY: Dell, 1968) and N or M? 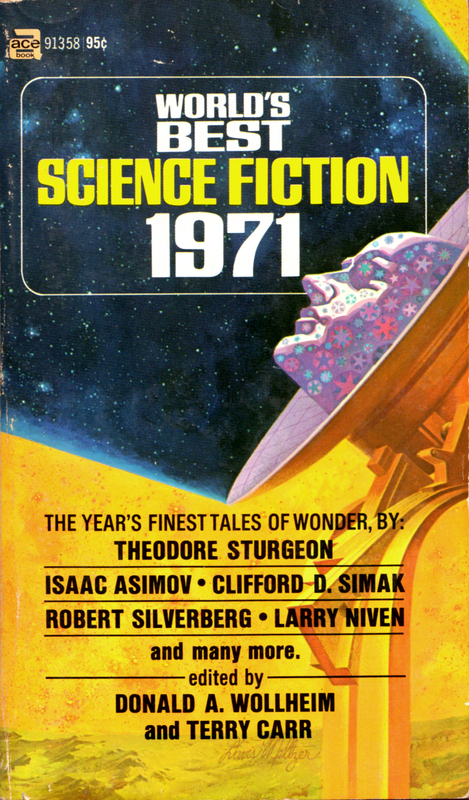 — include the following credit on the back cover: “Cover Illustration: Teason.” The other two covers are uncredited, but I believe they are also by Teason. If not, please let me know. Keywords: The Moving Finger, N or M?, and Murder in Three Acts, by Agatha Christie; William Teason. 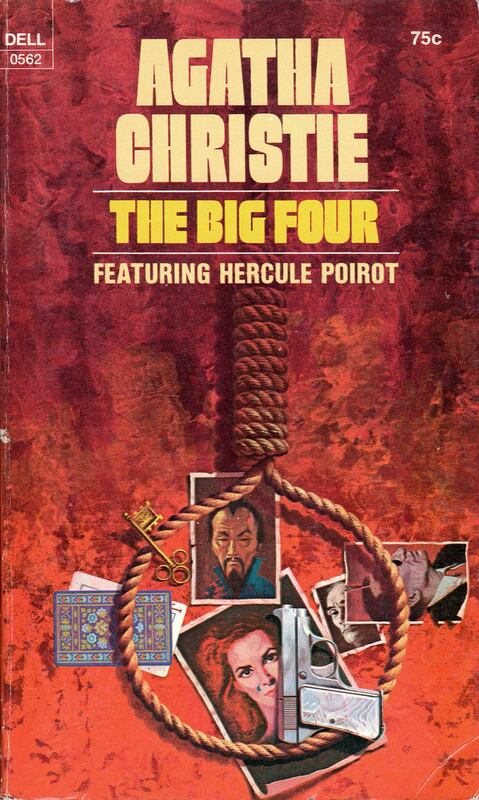 ABOVE: Agatha Christie, The Big Four (NY: Dell, 1972), with cover art by William Teason. 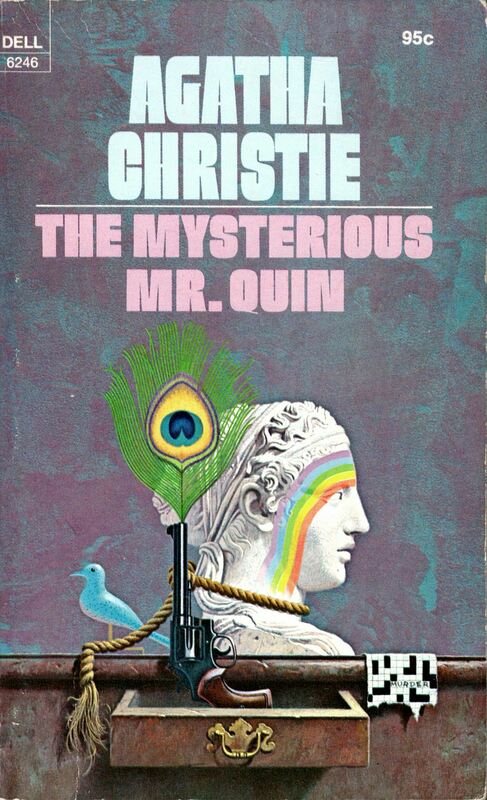 ABOVE: Agatha Christie, The Mysterious Mr. Quin (NY: Dell, 1974), with cover art by William Teason. 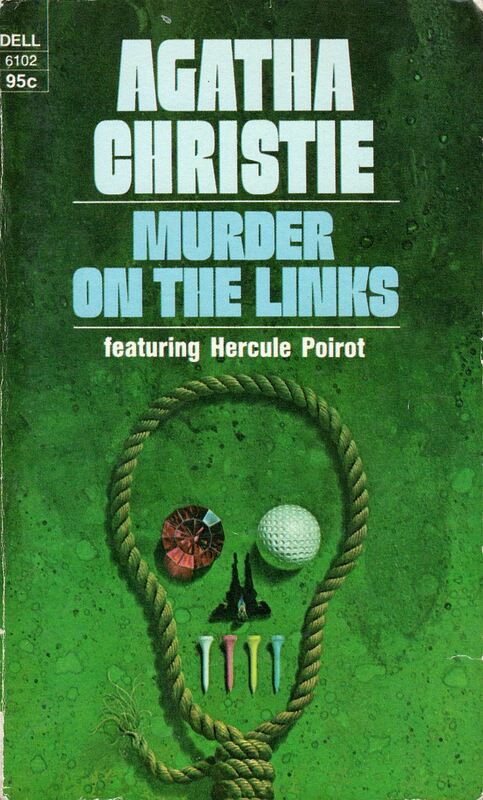 ABOVE: Agatha Christie, Murder on the links (NY: Dell, 1974), with cover art by William Teason. 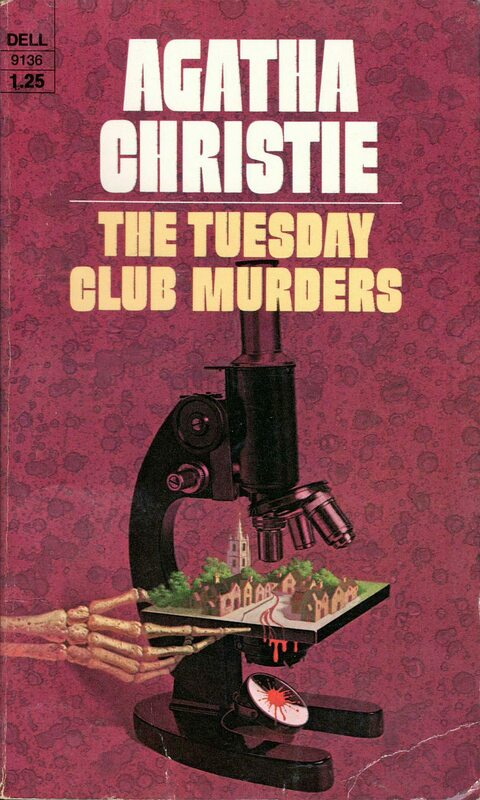 ABOVE: Agatha Christie, The Tuesday Club Murders (NY: Dell, 1975), with cover art by William Teason. Keywords: Murder on the Links, The Big Four, The Mysterious Mr. Quin, The Tuesday Club Murders, by Agatha Christie, William Teason. 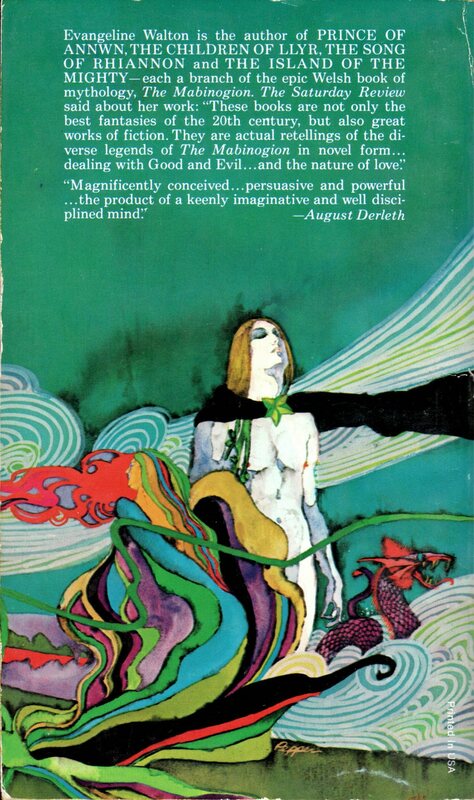 ABOVE: John Norman, Tarnsman of Gor (NY: Ballantine Books, 1972), with cover art by Robert Foster. 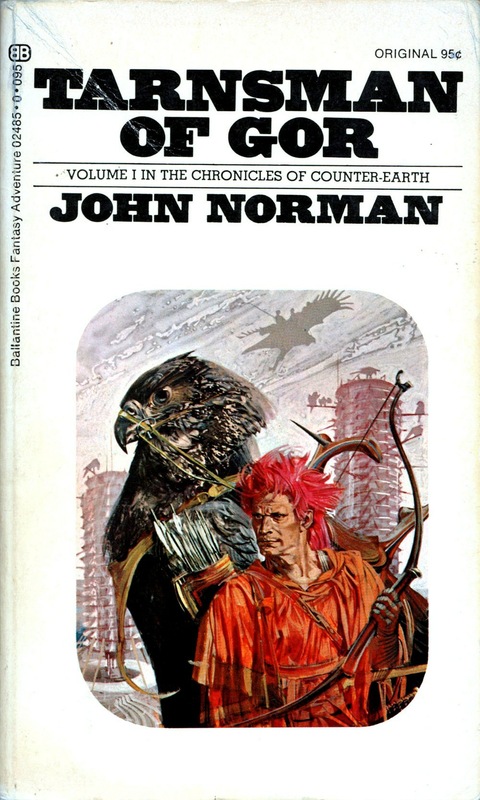 ABOVE: John Norman, Outlaw of Gor (NY: Ballantine Books, 1972), with cover art by Robert Foster. 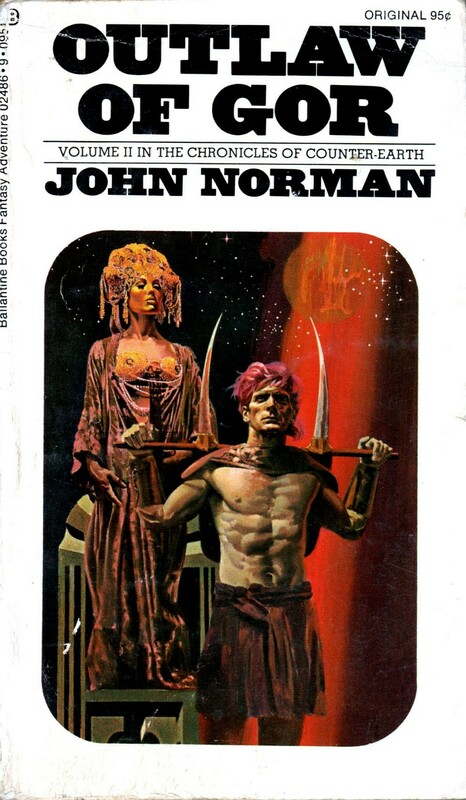 ABOVE: John Norman, Priest-Kings of Gor (NY: Ballantine Books, 1973), with cover art by Robert Foster. To view all of the covers with art by Robert Foster that I’ve scanned and posted so far, click here. 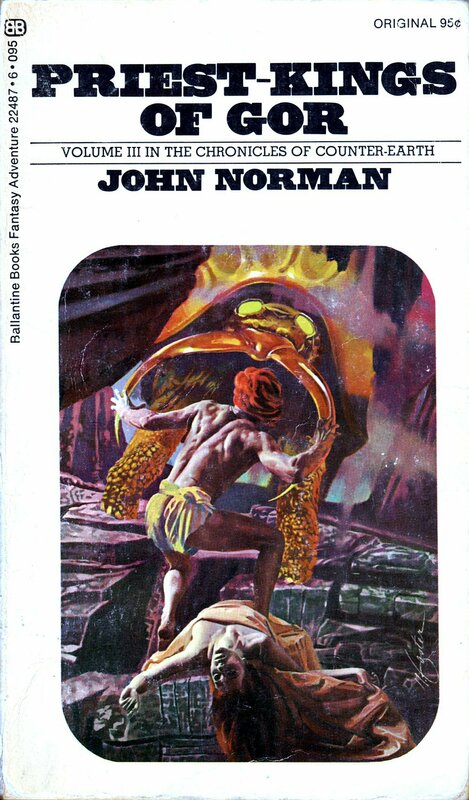 ABOVE: John Norman, Nomads of Gor (NY: Ballantine, 1971), with cover art by Robert Foster. 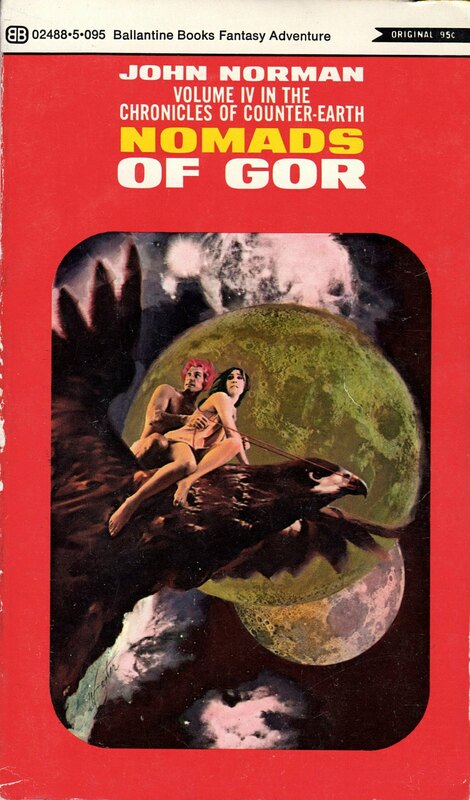 The cover of Nomads of Gor isn’t just based on an underlying photomontage. It is a colourized photomontage. Keywords: Tarnsman of Gor, Outlaw of Gor, Priest-Kings of Gor, Nomads of Gor, John Norman; Robert Foster. 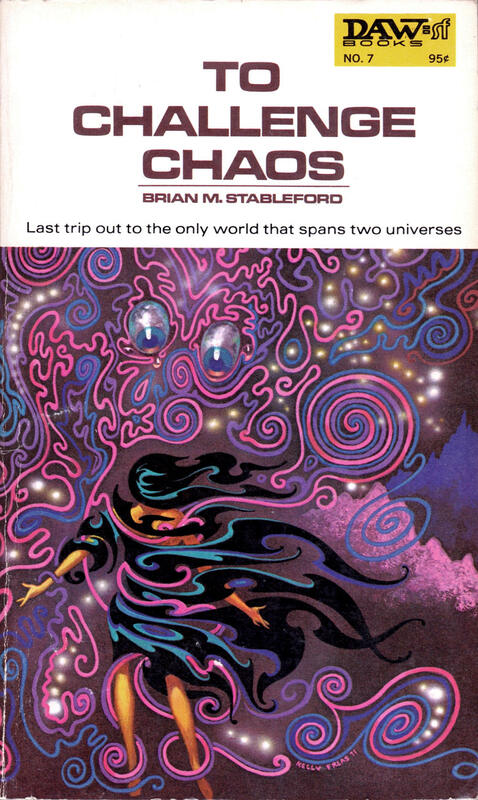 ABOVE: Brian M. Stableford, To Challenge Chaos (NY: DAW Books, 1972), with cover art by Kelly Freas. 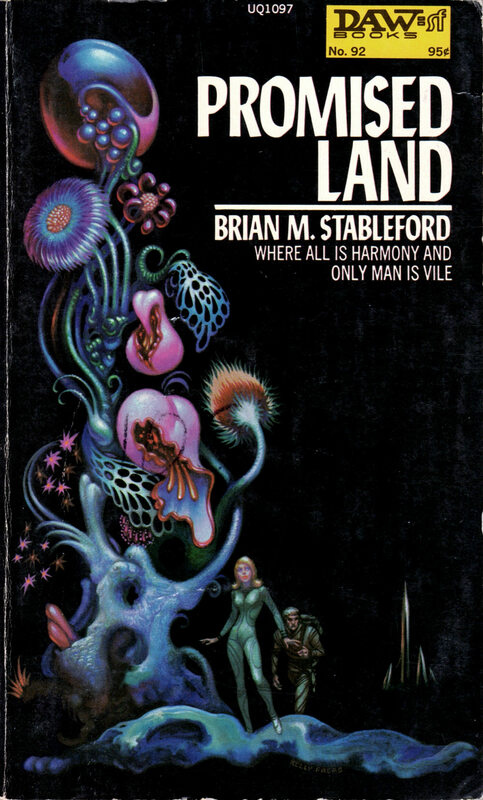 ABOVE: Brian M. Stableford, Promised Land (NY: DAW Books, 1974), with cover art by Kelly Freas. 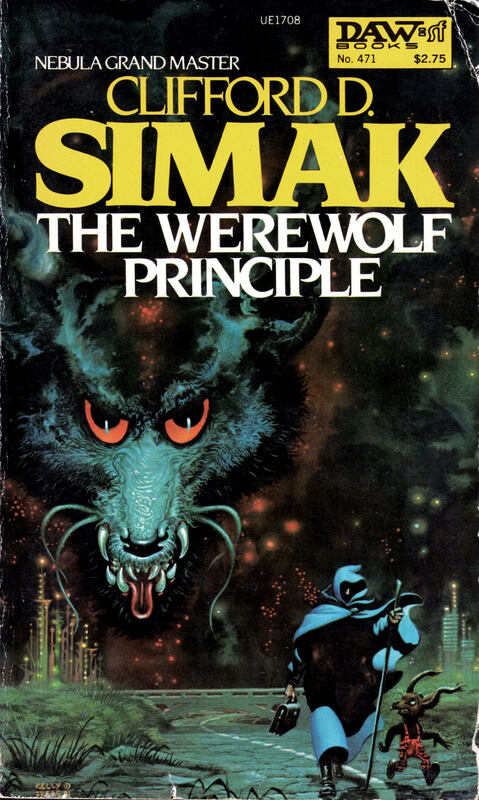 ABOVE: Clifford D. Simak, The Werewolf Principle (NY: DAW Books, 1982), with cover art by Kelly Freas. To view all of the covers with art by Kelly Freas that I’ve scanned and posted so far, click here. Keywords: To Challenge Chaos and Promised Land by Brian M. Stableford; The Werewolf Principle by Clifford D. Simak; Kelly Freas. 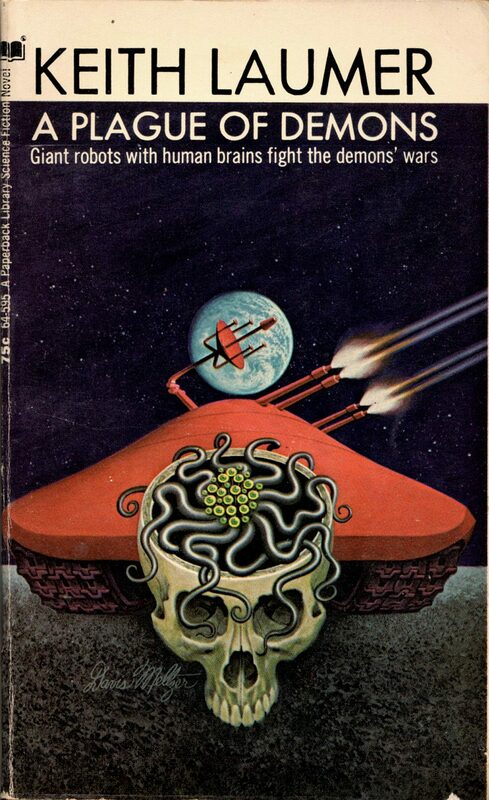 ABOVE: Keith Laumer, A Plague of Demons (NY: Paperback Library, 1971), with cover art by Davis Meltzer. 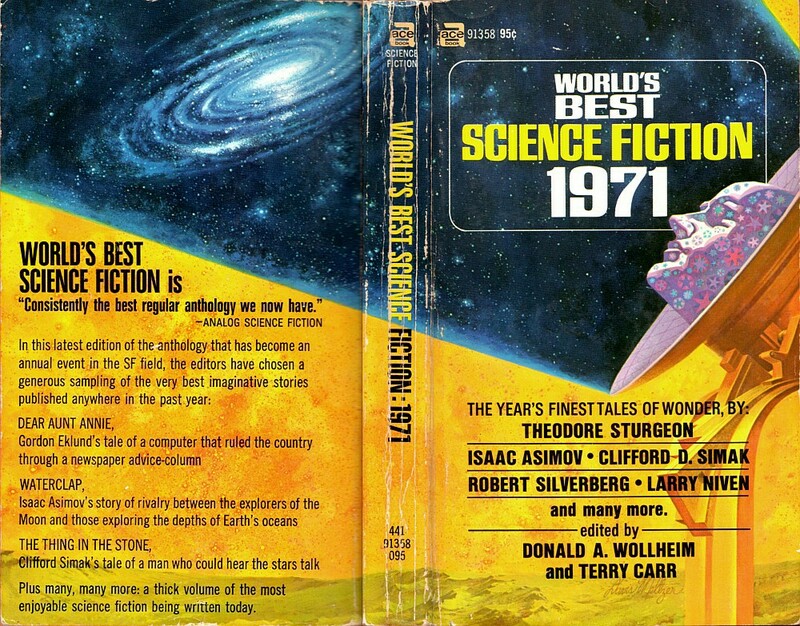 ABOVE: Donald A. Wollheim and Terry Carr, eds., World’s Best Science Fiction 1971 (NY: Ace, c1971), with cover art by Davis Meltzer. To view all of the covers with art by Davis Meltzer that I’ve scanned and posted so far, click here. Keywords: A Plague of Demons by Keith Laumer; World’s Best Science Fiction 1971 edited by Donald A. Wollheim and Terry Carr; Davis Meltzer. 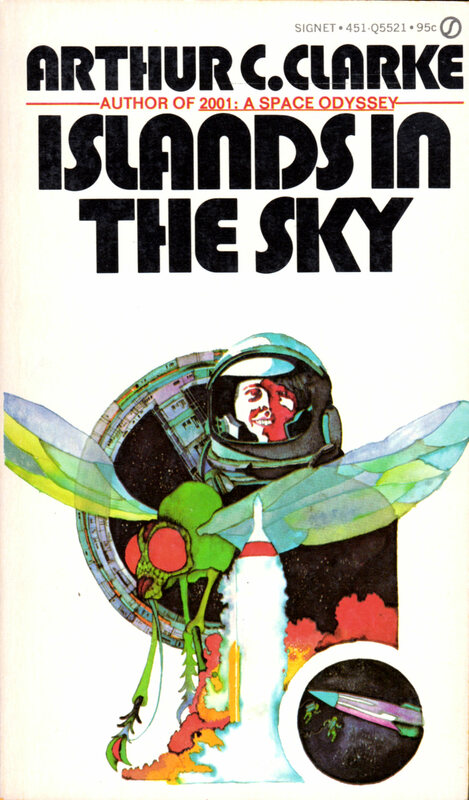 ABOVE: Arthur C. Clarke, Islands in the Sky (NY: Signet, 1960), with cover art by Bob Pepper. 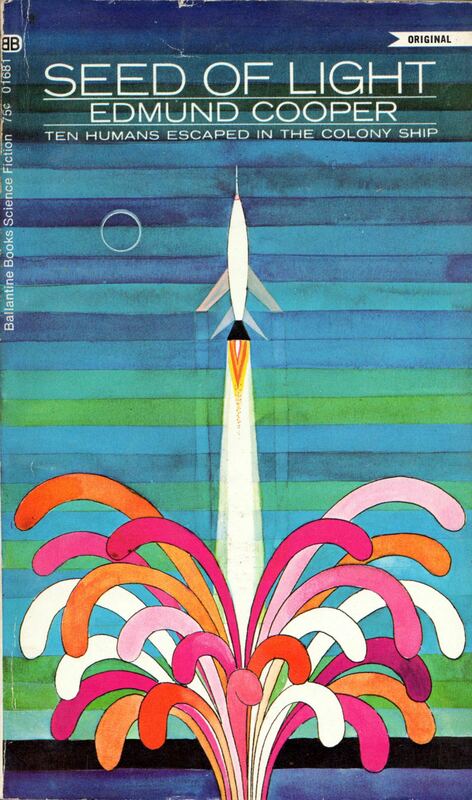 ABOVE: Edmund Cooper, Seed of Light (NY: Ballantine, 1969), with cover art by Bob Pepper. 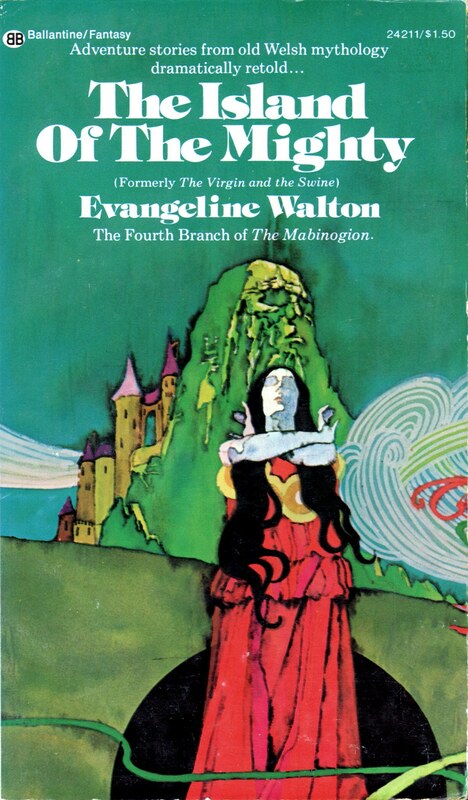 ABOVE: Evangeline Walton, The Island of the Mighty (NY: Ballantine 1974), with cover art by Bob Pepper. 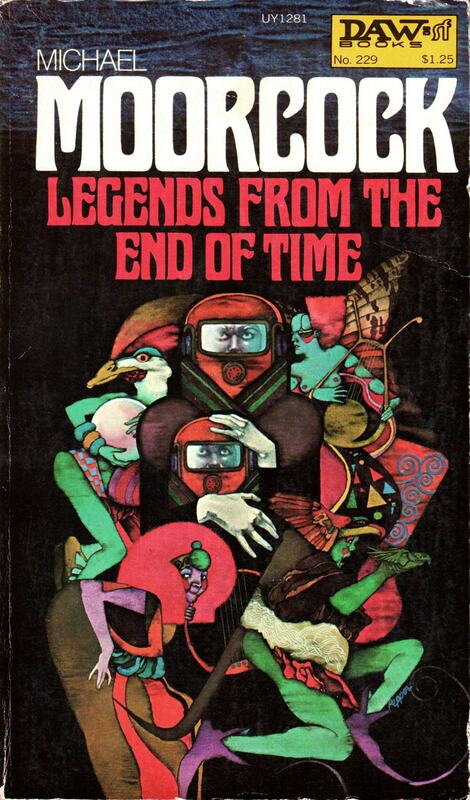 ABOVE: Michael Moorcock, Legends from the End of Time (NY: Daw Books, 1977), with cover art by Bob Pepper. Keywords: Islands in the Sky by Arthur C. Clarke, Seed of Light by Edmund Cooper, Legends from the End of Time by Michael Moorcock, The Island of the Mighty by Evangeline Walton, Bob Pepper.